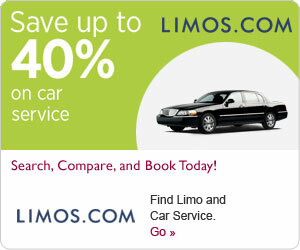 When it comes to hiring a limo service in Tucson, there are no shortcuts. There is more subjectivity involved than concrete answers, but for the most part, it becomes a necessary exercise in verifying trustworthiness. If a formal event is on the calendar for a single date realizing that the company entrusted to provide transportation will potentially impact a lifetime of memories is critical before launching the search. A satisfactory limo choice for a prom night may seem like a minor detail in the general scheme of life. On the surface, one tiny hiring decision would not appear significant. Considering how many couples today continue to show pictures of their mutually sacred event decades afterward might provide a more appropriate perspective. When it comes to life’s special events taking unnecessary chances is never a good idea. One of the most successful methods quality doctors and surgeons use to bring in new patients is still “word of mouth.” People who have been cured or have undergone routine surgeries are the first to spread the praise of those medical experts. Limo services are no exception to the rule “trust only that which can’t be verified.” If friends and relatives with perceived good judgment capacities are available to provide a name and number based on an excellent experience make that choice number one of the first to investigate. Asking a handful of people may result in the same company coming up with good, bad or even mixed reviews. Multiple positive reviews from trusted sources is a great indicator of quality service. After planning as far in advance as possible and carefully budgeting the potential costs of the limo service which cover the “it goes without saying” portion of the journey safety checking is the first real test that requires pre-booking prowess. Finding out how chauffeurs are screened by a company is just as critical as verifying their insurance information and asking about accidents. Exactly like choosing a surgeon finding out about an experience, track record and education “pre-surgery” is an excellent idea. Maintenance routines for the fleet of vehicles is a great area to explore, reliability on the road is essential for maximum safety. Although it may seem minor hiring drivers that are extremely familiar with the area they are driving in can be a great advantage and avoid getting lost. After the “babysitter-like screening regimen” has been completed on verification now the fun part begins. It may have seemed obsessive to ask multiple uncomfortable probing questions relating to safety but living to be embarrassed for many years is the goal of that interrogation battery. Shopping type of car, price and making sure all fees are understood will make for a snug fit. Town Cars, Stretches, Sport Utility models, are all on the menu at most services and packages for weddings and proms are often available to thoroughly inform clients and avoid any confusion concerning time, distance, tips and other potential sem-visible charges. Signing the contract and understanding the particulars of deposits, cancellation fees, and possible penalties may not seem like the best part of the limo-landing process but the details are more important than most people assume. Find out what percentage of deposit will be held for later cancellations and if there are any damage deposit holds or charges which may be applied to a credit card in the form of “authorized holds.” Knowing the “ins and outs” and planning for the worst case scenario concerning event postponements or changes will result in a better situation than being unpleasantly surprised. It is better to over-plan and underspend than to experience the discomfort of that reverse order. Success in our world of pampered consumers is mostly determined by making a customer feel special. If a date or other passenger might have some fears or concerns, it is always best to cover that potential obstacle with the driver in advance. For special needs passengers, there is no such thing as being overly concerned when it comes to preparing a driver. That one of a kind personalized experience that will live on in memories forever may hinge on a few moments of advanced information sharing while hiring a limo. The best rides are the safest and the best memories or the most ones tailored to fit all expectations. Tim Cruz is a passionate writer, interested in writing about limo, wedding transport and much more. He owns a company that is providing information and news about limos.